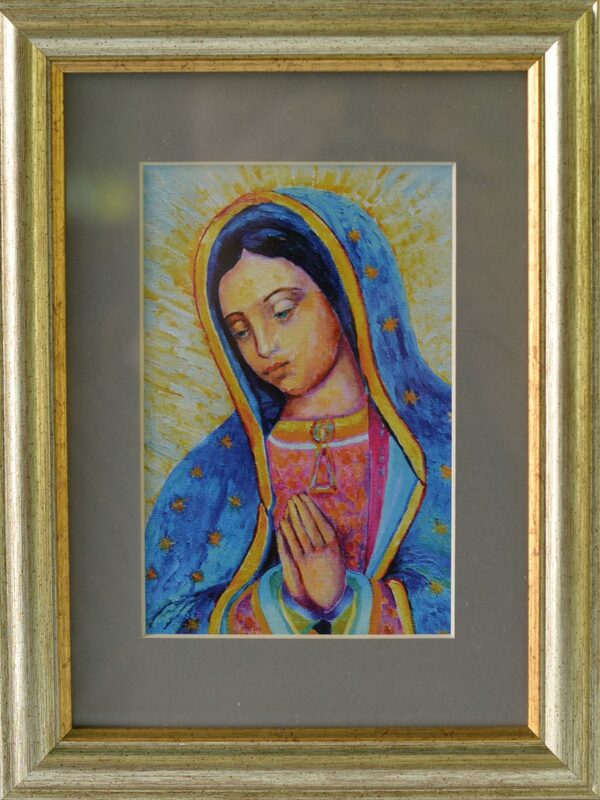 Virgen de Guadalupe framed art is a high quality print of my original oil painting on archival paper in a wooden frame. Printed acid free. 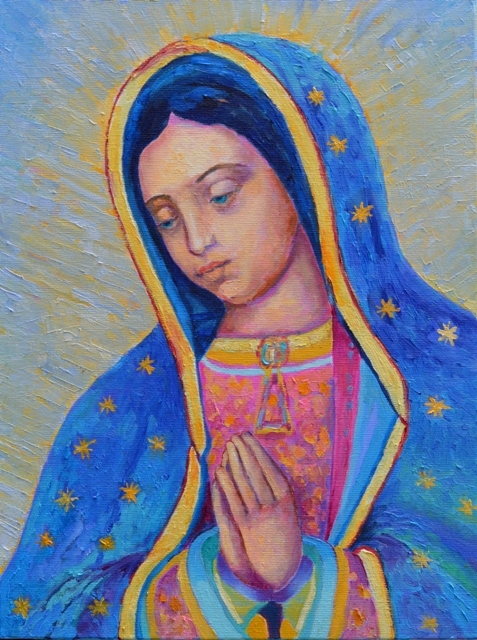 I painted this beautiful image of the Virgen de Guadalupe on canvas in my own way. This is my own version of this famous painting but based of the original old painting of the Virgen de Guadalupe. I hope you will like my painting. 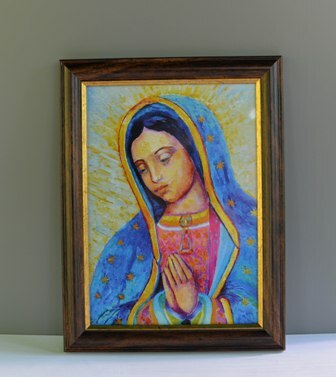 I have reproduced my original oil painting of Our Lady of Guadalupe on high quality archival paper and mounted it behind glass and framed in a wooden frame. The image is 14 x 20 cm (5,5 x 8 inch). Outside frame size is 19 x 25 cm (7,5 x 10 inch), the frame itself is ca 2 x 1,5 cm (1 x 2 inch). The frame has a stand up back or can be hung on the wall. You can choose between two options: dark brown frame without passe-partout or golden frame with passe-partout (in this case is the image smaller). The price for both is the same.